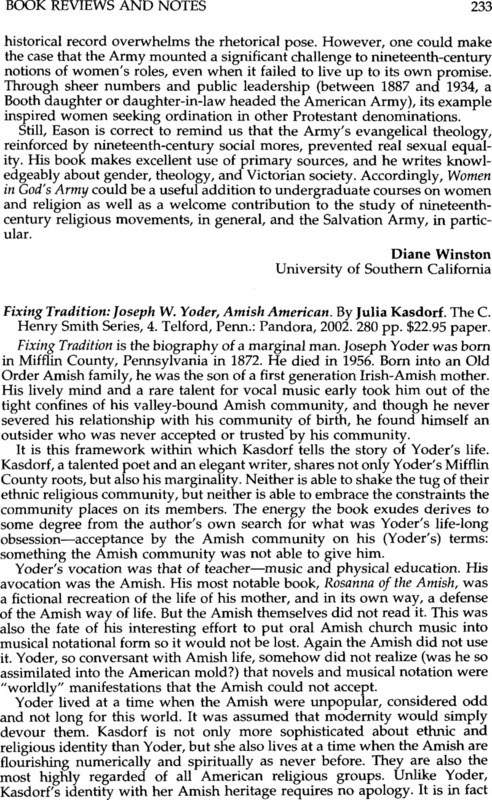 Fixing Tradition: Joseph W. Yoder, Amish American. By Julia Kasdorf. The C. Henry Smith Series, 4. Telford, Penn. : Pandora, 2002. 280 pp. $22.95 paper.